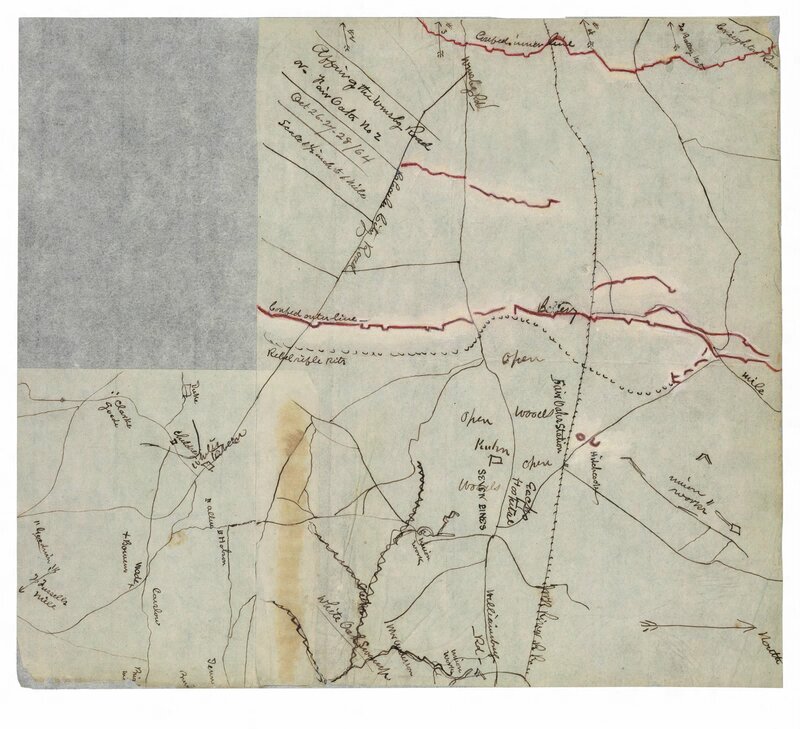 Note: Click to see maps of the Battle of Fair Oaks and Darbytown Road, which should help you follow along with the action. Brief Summary: On October 27, 1864, 150 years ago today, the northern half of Grant’s Sixth Offensive played out in the Battle of Fair Oaks and Darbytown Road, also known as the Second Battle of Fair Oaks. Benjamin Butler, commanding the Army of the James, was instructed by General Grant to operate against the Confederates defending Richmond. Grant stressed that Butler was to try to turn the Confederate left, but avoid any attacks against entrenchments. His goal was to draw off as many men as possible to the north side of the James. Doing so would allow the Army of the Potomac to gain ground southwest of Richmond. It was a strategy Grant had employed several times before, with some success. On October 27, Butler’s Army of the James, moving from its recently established lines centering on captured Fort Harrison, attempted to turn the left flank of the Confederate line guarding Richmond. The Tenth Corps would probe slightly to the right, moving from the New Market Road and onto the Darbytown Road in an effort to disguise the main attack. This would occur in the form of the Eighteenth Corps, moving far to the right onto the Williamsburg Road and probing west. The Tenth Corps under Alfred Terry probed the more established Confederate lines first near the Darbytown Road. Terry, under pressure from Butler for results, ordered an ill-conceived attack which ultimately was made by only one brigade. The results were predictably disastrous, and what’s worse, they didn’t hold the Confederates’ whole attention. James Longstreet, back from his nearly fatal wounding at the Wilderness on May 6, 1864, sensed something was wrong after mulling over incoming reports. He ordered Field’s division from his First Corps to march quickly to the left and the Williamsburg Road to prevent that flank from being turned. Elements of Field’s Division reached the area just in time to ward off the Union attack by the two White divisions of the Eighteenth Corps. This assault, conducted by only two brigades, was also ill-conceived and unnecessary. In addition to the main Eighteenth Corps attack, elements of the all-Black 3rd Division of that corps assaulted northwest down the Nine Mile Road, running into Gary’s Cavalry Brigade. The Confederates managed to drive off this assault, but firsthand accounts written by members of Gary’s brigade exists which indicates wounded and captured Black soldiers were murdered by their Confederate antagonists after the fighting was over. All told, the Eighteenth Corps lost over 1,000 men in wasteful, uncoordinated, and unnecessary attacks. In the end, the three distinct elements of this battle combined to produce a bloody disaster for Butler. His Army of the James lost over 1,600 men, inflicting less than 100 on their Confederate counterparts. Despite being explicitly ordered not to attack entrenched positions, Butler disregarded orders and pressured his corps commanders Terry and Weitzel to do something. Three “somethings” resulted in three repulses and little to show for the effort. As Hampton Newsome points out in his excellent book Richmond Must Fall, this battle and the Battle of Boydton Plank Road, the simultaneous effort by the Army of the Potomac southwest of Petersburg, resulted in no great disaster. That said, it was no victory either, essentially adding more casualties to an already long list. When compared with the results of the Fifth Offensive, the Sixth was an underwhelming sequel which was labeled a “reconnaissance in force” after the fact. This label was roundly mocked by Northern and Southern newspapers alike.